I won’t lie. I am a sucker for hype. Yes all that ‘cheapest Michelin star’ in the world kind of hype. Which is why I can’t believe that we have never visited Tim Ho Wan (添好運點心專門店) for a meal before. After being advised by countless friends to be in line at the crack of dawn, we woke early, skipped breakfast and headed into Mong Kok. Here is where we made our first mistake. Apparently the Mong Kok shop closed down ages ago. Starving and scared about the wait ahead, we hailed a cab which took us to the branch at Sham Shui Po. On arrival, we were lucky to find a pretty near empty restaurant. We overhead a regular speaking to the waitress who mentioned that due to easter and Qingming holidays, the place had not been anywhere near as busy as it had in the past. Bonus for us as lines are notoriously an hour long, even at 10am in the morning. Soon after ordering, our char siu bao (叉燒包) arrived. 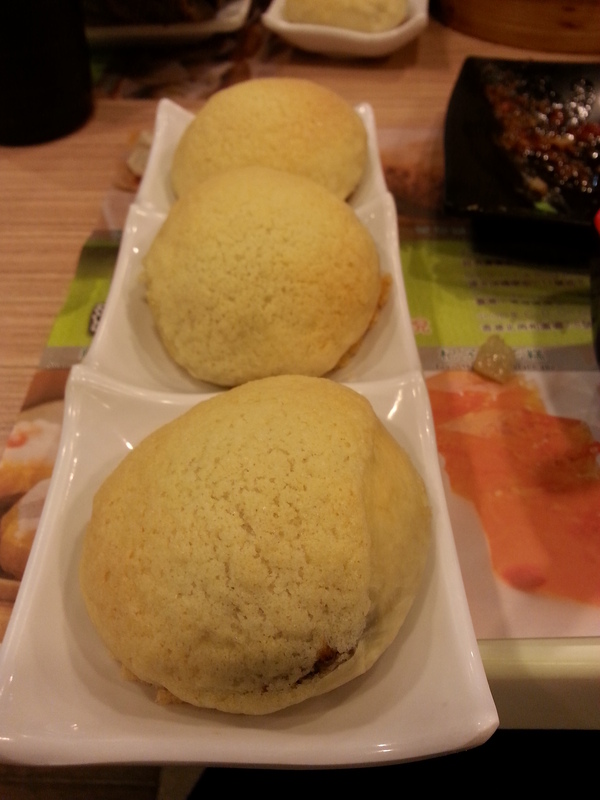 One of Tim Ho Wan’s signatures, they bake their buns with a crumbly almost buttery cookie flakes on top. The topping was slightly sweet and the insides deliciously moist and succulent. Pretty wow. The siu mai (燒賣) was a succulent prawn-pork dumpling full of goodness. There was a perfect balance of texture, bounce, and flavour. Killer. One thing we never fail to order is chiu chow dumplings (潮州粉果). Tim Ho Wan’s rendition is primarily water chestnut, nuts and mushrooms with a small amount of tender pork. The skin was beautifully glossy and thin and has a slight smoky flavour which lingered in your mouth after the bite had gone. In fact this dish was so liked, that we ended up ordering it again later in the meal. 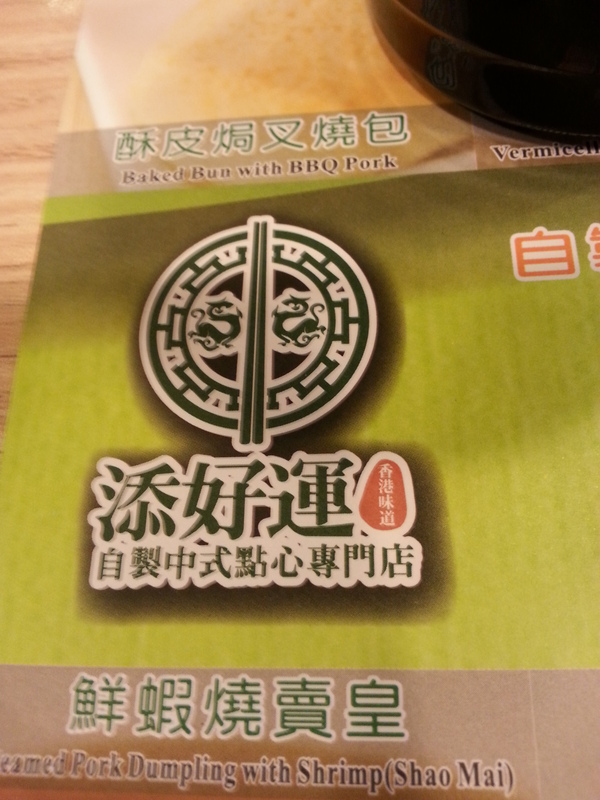 The lor bak go (蘿蔔糕) was a slight disappointment. The cakes were perhaps not charred enough in the pan so it lacked distinctive crunchy texture. The inside was soft with plenty of turnip, though slightly flavourless. We also ordered pai guat (排骨) which was pretty standard, as well as a fairly standard steamed sin jook goon (鮮竹捲). Is this dim sum worthy of a michelin star? Probably not. But at the price of just over HKD$120 for 8 dishes for two, it is an absolute bargain. So much of a bargain that a week later I found myself joining the line at Tim Ho Wan’s IFC central outlet, waiting 30 minutes for a table for 1 at 15:30pm. No sooner was I seated, my char siu buns (叉燒包) and chiu chow dumplings (潮州粉果) arrived and a short 15 minutes later I was paying my bill, satisfied. 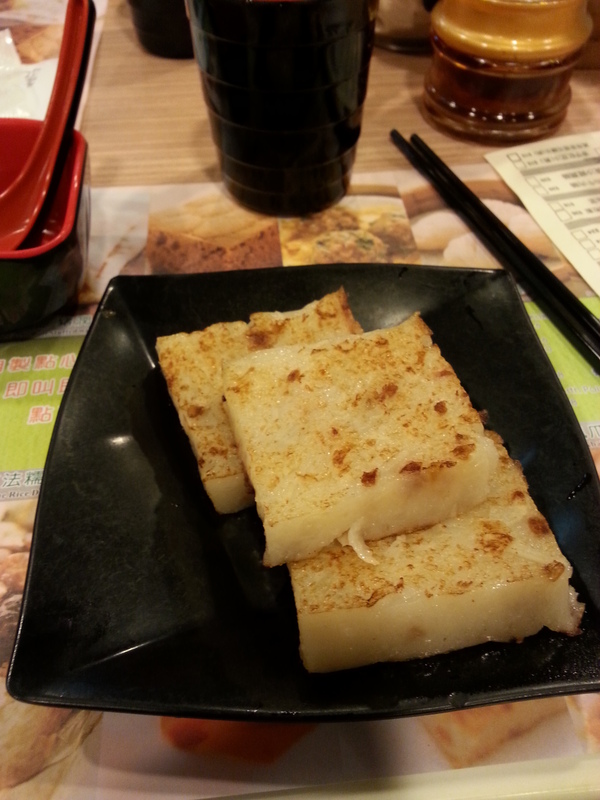 Tim Ho Wan may not serve the best dim sum in the world, but it sure is good. Is it worth an hour wait? I guess my return visit confirms that it is, but perhaps only for the Char siu buns, chiu chow dumplings and perhaps the siu mai. This entry was posted in Hong Kong, Hong Kong restaurants and tagged dim sum, HongKong, Michelin Guide, Mong Kok, sham shui po, Shumai, Tim Ho Wan. Bookmark the permalink. Always wondered why they got that Star in the first place, as so many people say it’s not the best in town, but will defiantly be giving them a try. Fingers crossed on the Q’s. It is worth the wait if you stick to the signature dishes. 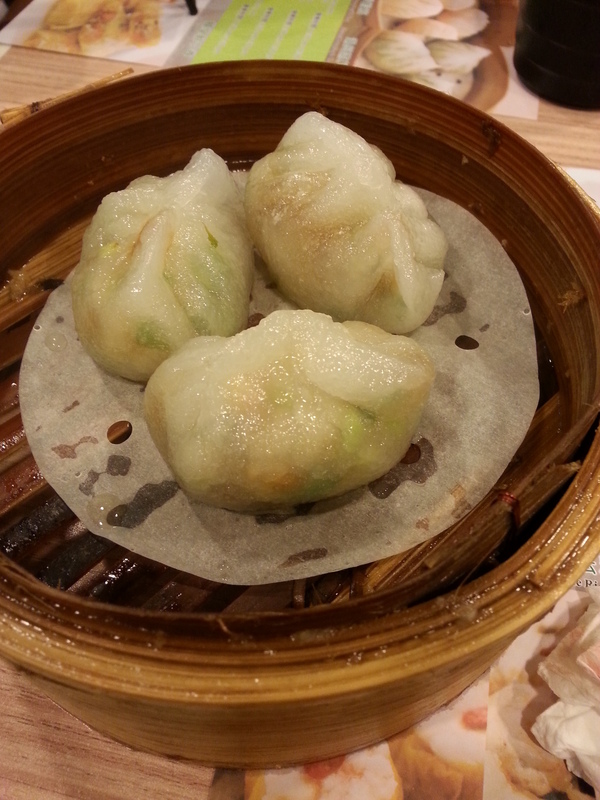 ‘Dimdimsum’ is also incredible at the low end price point – great pineapple buns!